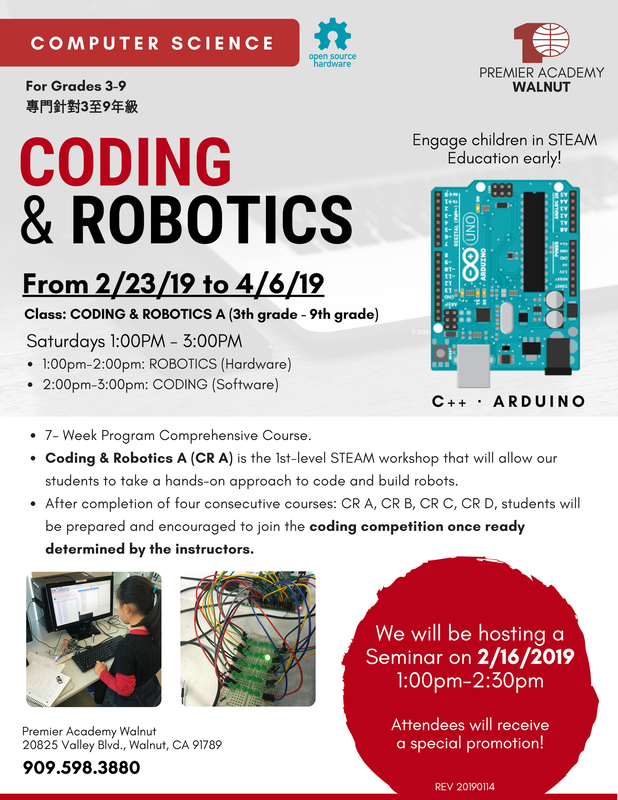 Register for a Robotics Program Now! ​Copyright ©2017 Premier Academy Walnut - All Rights Reserved. SAT is a registered trademark of the College Board. ACT is the registered trademark of ACT, Inc. All test names and other trademarks are the property of their respective trademark holders, who are not affiliated with and do not endorse Premier Academy Walnut.